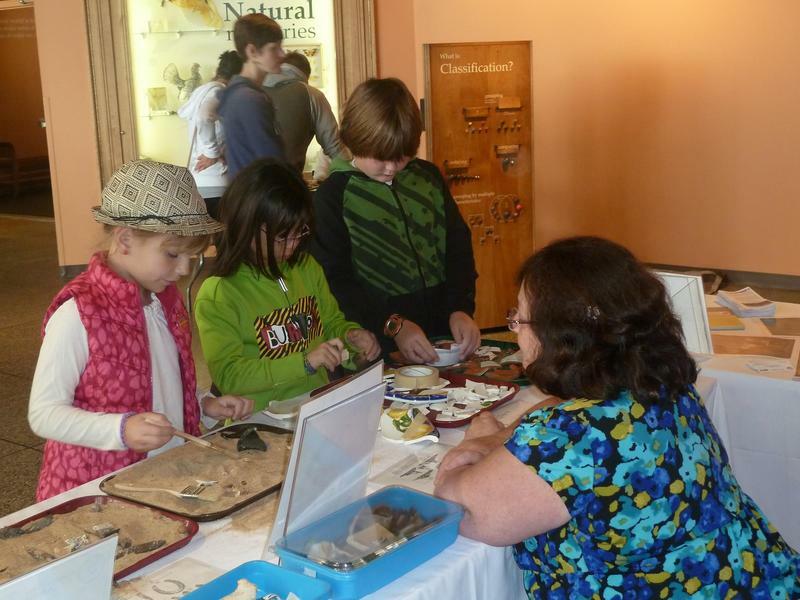 The New Hampshire Archaeological Society presents their "Sifting Through the Sands of Time" activity at the Archaeology Fair on Saturday. 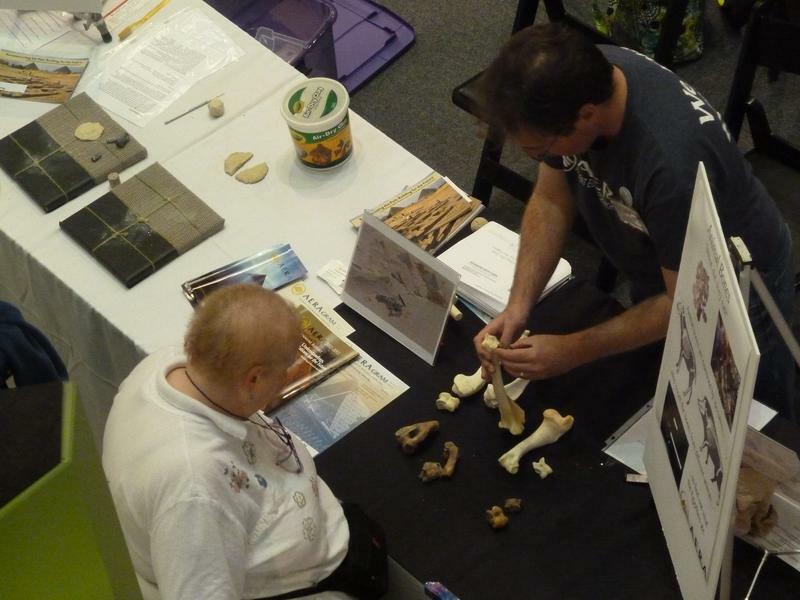 The AIA is pleased to report another successful archaeology fair this year! 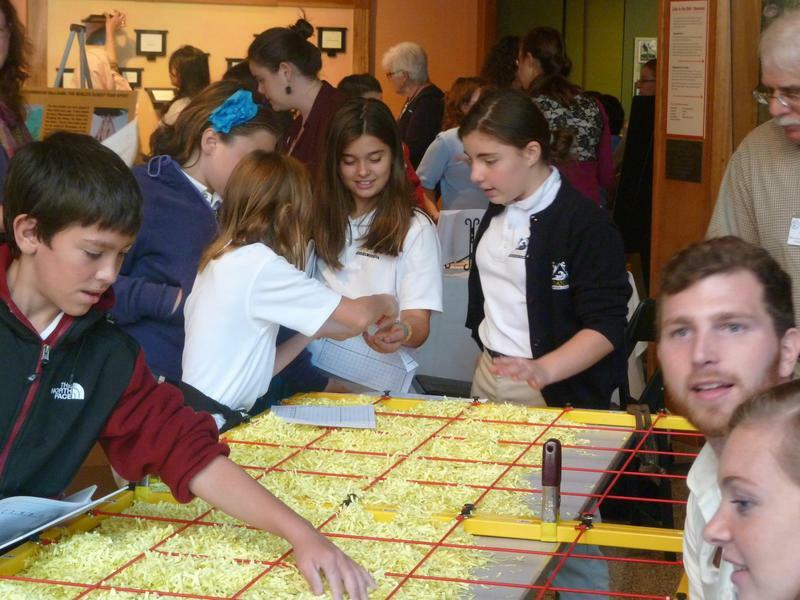 On October 18 and 19, 2013, the AIA teamed up with the Museum of Science, Boston to host our 7th Annual AIA-MOS Archaeology Fair. This two-day event brings together institutions and organizations from around New England who share the AIA's mission to spread the wonder of archaeological discovery with the public. 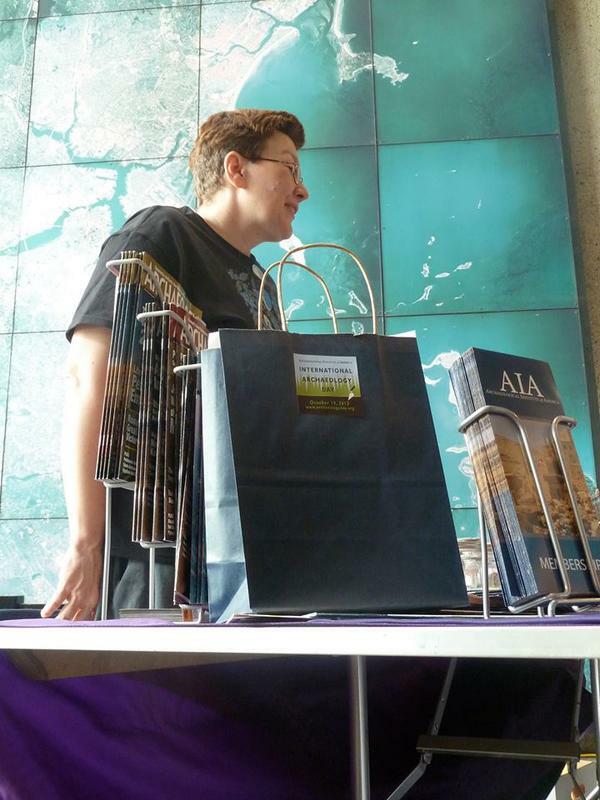 The AIA and MOS were joined by 21 groups over the two-day fair. Presenters shared their knowledge in a wide variety of topics, covering ancient technologies, cultures, mock excavations, and artifacts. Fair attendees learned how to map a historic shipwreck; how ancient Egyptians used cylinder seals; how to excavate the Battle of Bunker Hill; how the ancient Maya used math; and much, much more! Visitors also got to see live demonstrations in flintknapping, glassblowing, and pottery making, as well as the opportunity to try on a Roman soldier's battle gear! 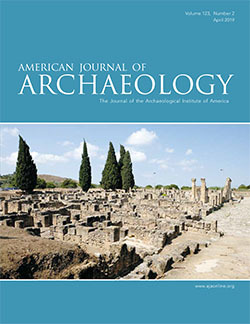 This year the AIA joined forces with DIG Magazine to present our first-ever "Meet Dr. Dig" presentation. 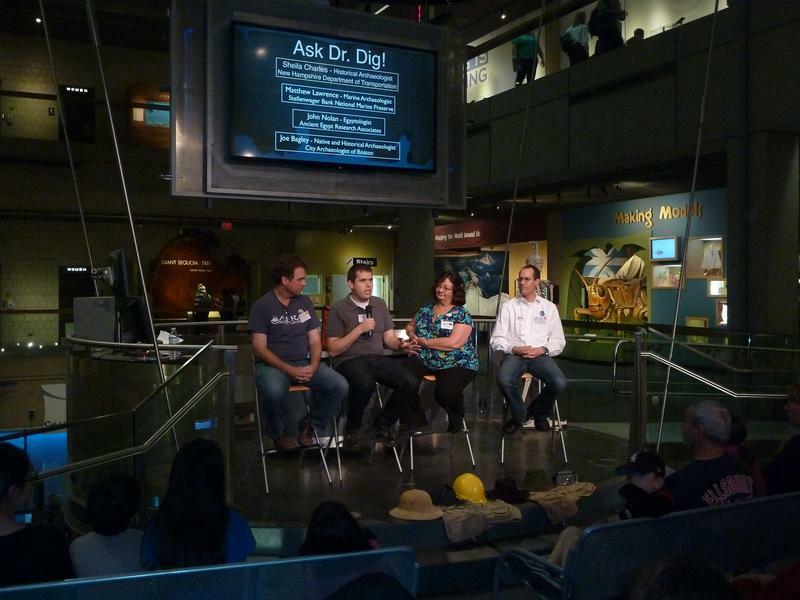 Fair attendees had the opportunity to interact with professional archaeologists in a Q&A session that encouraged the audience to explore deeper into the world of archaeology. We look forward to making this session a staple event at future archaeology fairs!